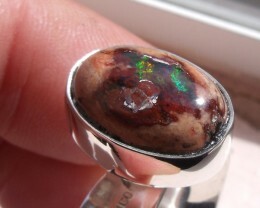 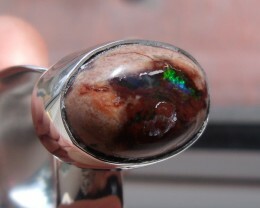 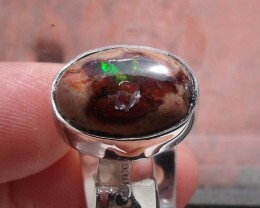 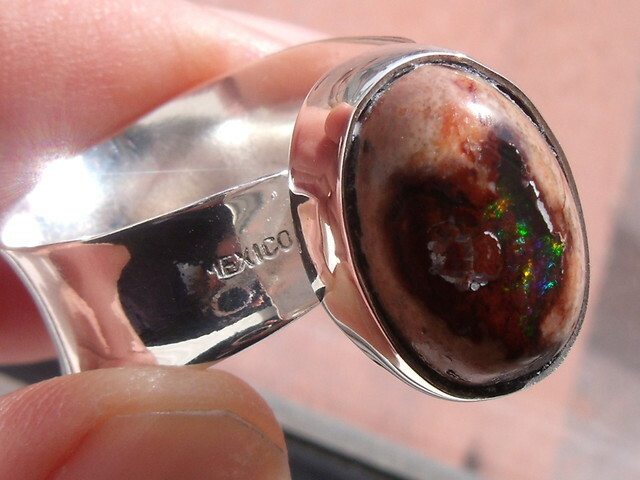 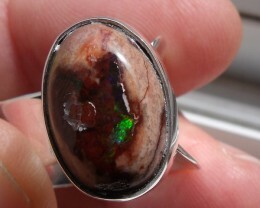 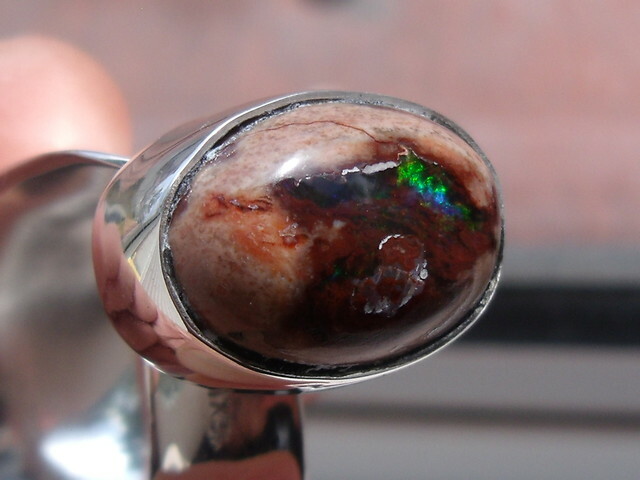 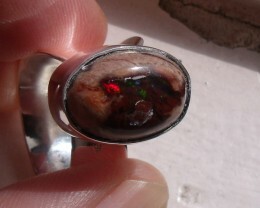 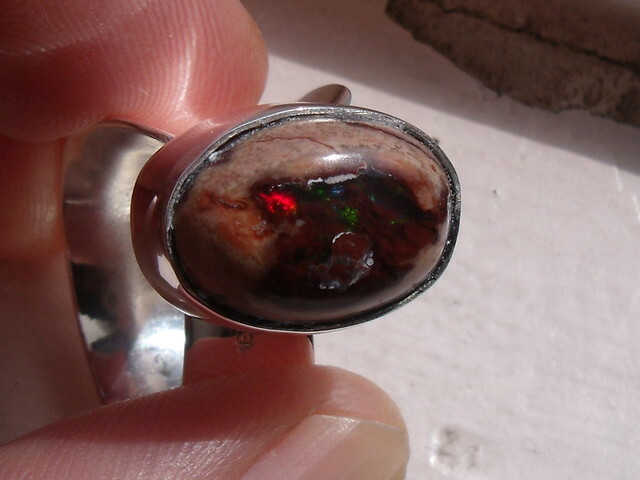 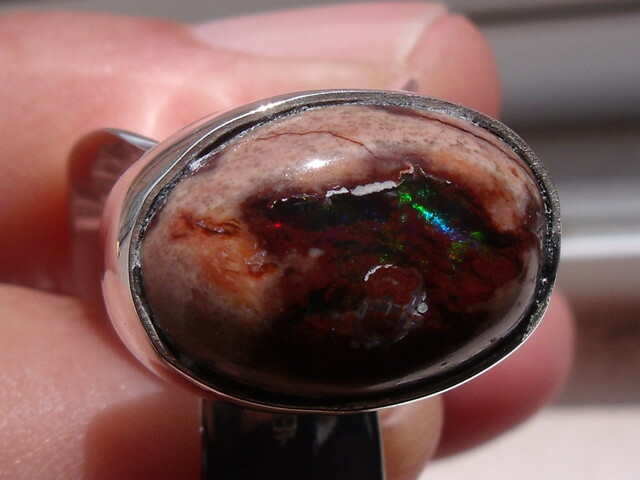 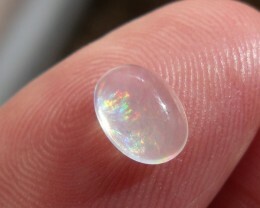 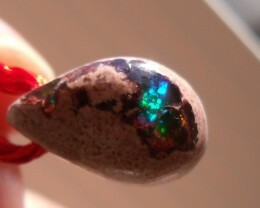 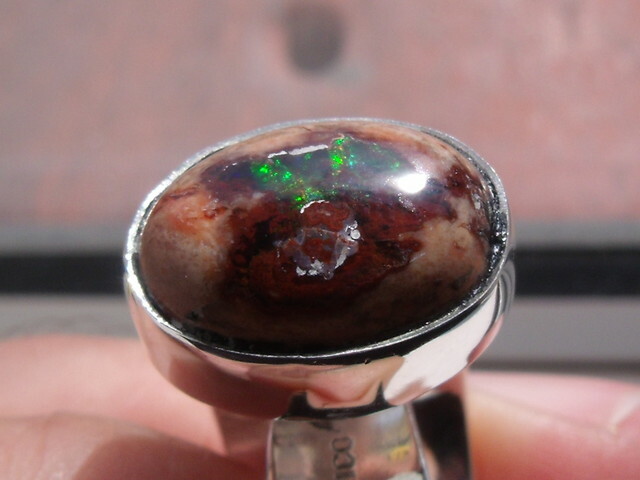 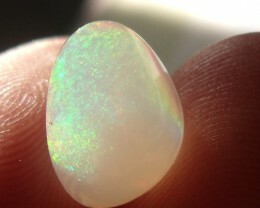 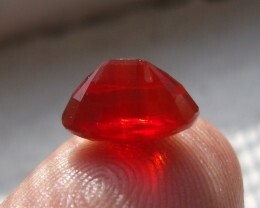 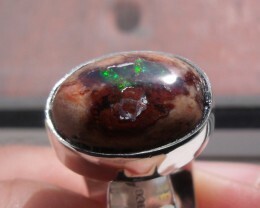 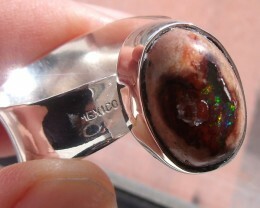 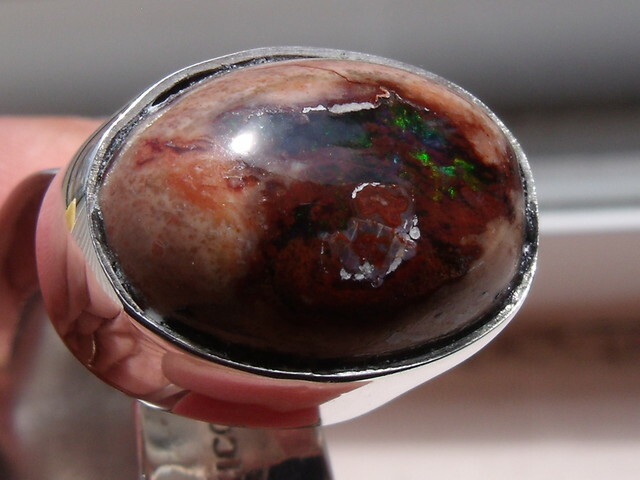 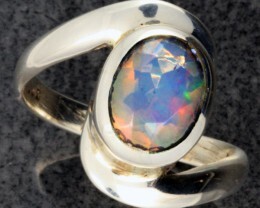 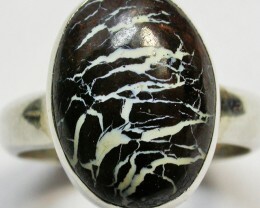 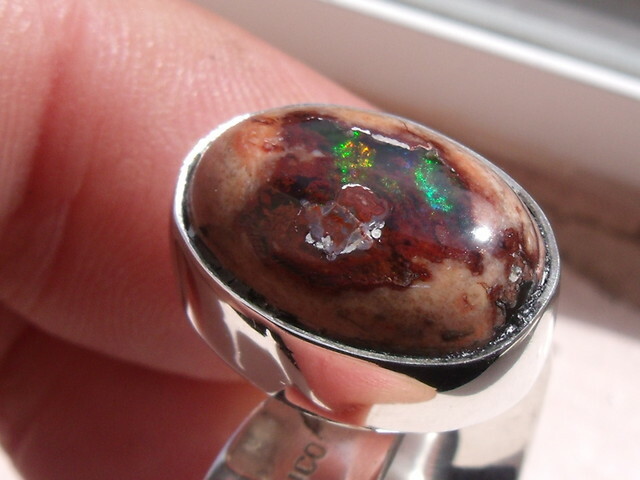 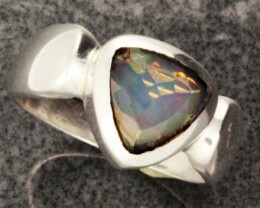 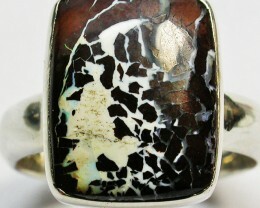 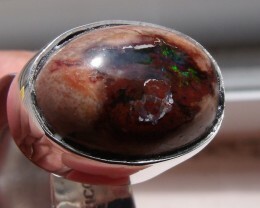 This is a Natural Matrix Fire Opal Ring and it is sized for 7.25 The stone on it measures 14 mm x 10 mm 6 mm. 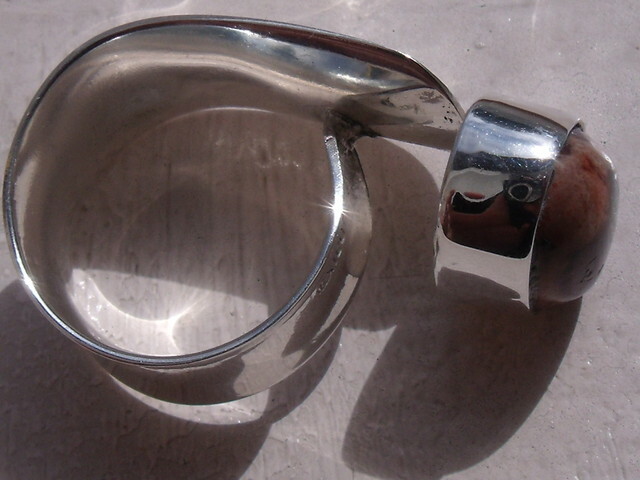 The band measures 11 mm. 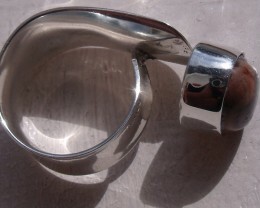 Total weights: 8.3 gr.